Eric provides a hands on clinic on a tennis court. 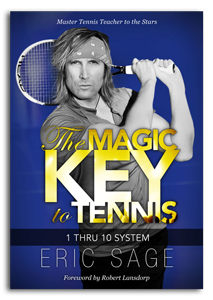 He shows students his 1 Thru 10 System and how it relates to modern tennis techniques, mental toughness, shot selection, and other essential elements to successful game. He provides video analysis and exercises to take the students to a higher level - IMMEDIATELY!